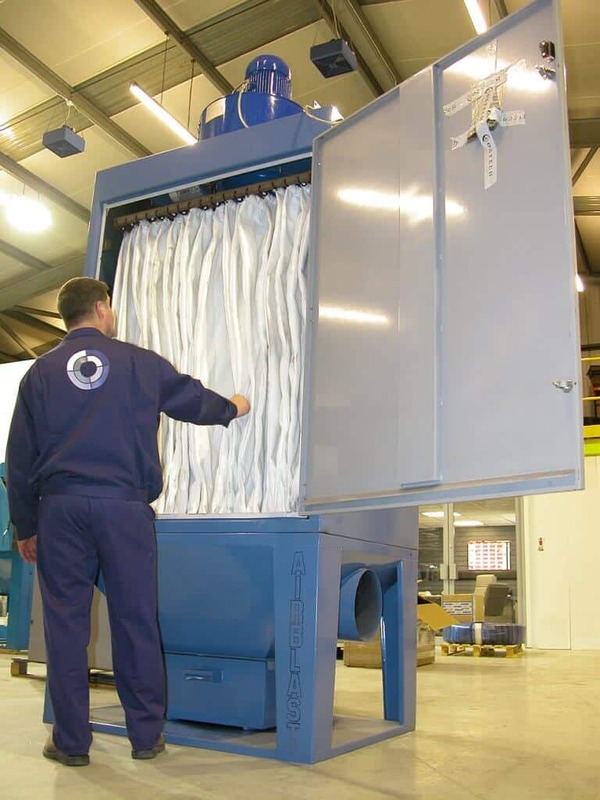 Airblast Eurospray Shaker Filters provide maximum efficiency while keeping capital and maintenance costs to a minimum. 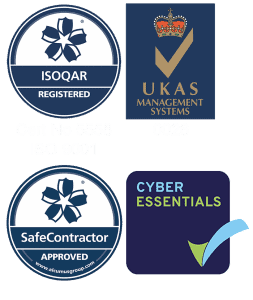 The Airblast Eurospray Filter Modules are based on a standard design which results in similar standards of ventilation to our cartridge collection system, giving maximum efficiency whilst at the same time keeping capital and maintenance costs to a minimum. The unit extracts airborne contaminants from the blast room, helps to improve air quality for the operator, product quality and productivity of the facility. 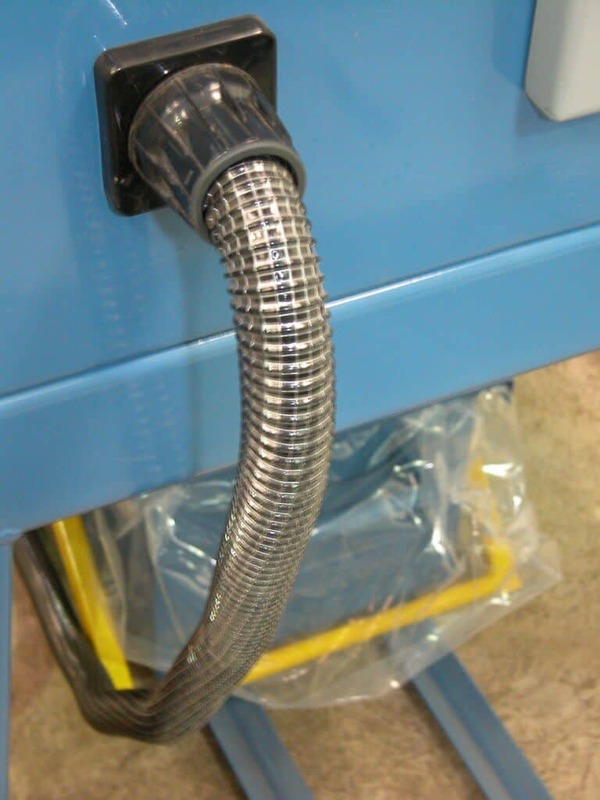 Utilising these performance filters, which have a unique self-cleaning cycle to enhance operational life, contaminated air is drawn in through the inlet to the filter by the fan. Initially, some pre-separation takes place as heavier dust particles lose momentum and fall into the hopper. Finer dusts are carried up to the filter elements where they are retained on the outer surface of the filter fabric. The cleaned air passes through the filter fabric into the fan chamber and is discharged. At the end of the process, or at the end of a shift, the fan is switched off and the filter fabric cleaning cycle commences. It is during this stage that dust is dislodged from the filter elements and falls into the collector. This cleaning cycle requires no compressed air, reducing not only the services required but also operating costs. When investing in dust extraction to protect the operator from the risks of dust, it's important to also tackle the dust problems associated with emptying the bin into a skip. By equalising the pressure between the dirty side of the extractor and the collection bin, our system makes it possible to drop a plastic bag into the bin. By sealing the bag with a tie-wrap prior to its disposal, the operative is not exposed to the dust as he would be if the bin was tipped directly into a skip. For more information about our shaker filters, please get in touch with us via our Contact page. 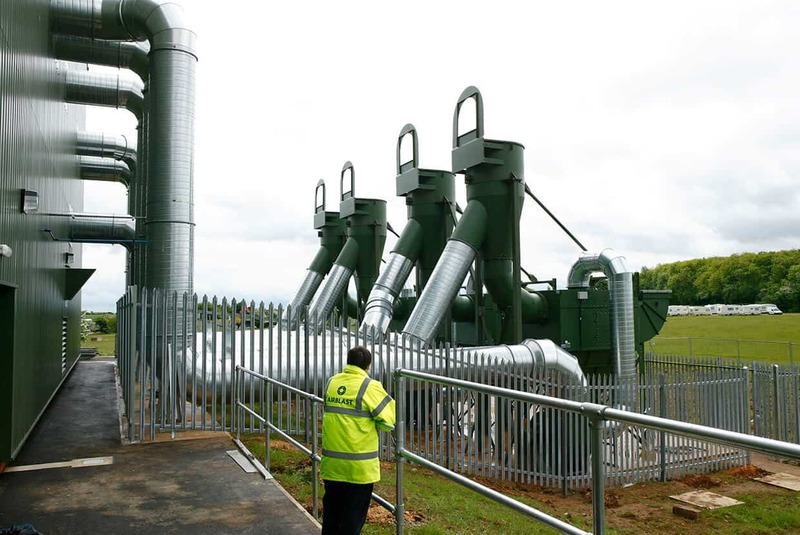 The Air Pulse dust collector system comprises cylindrical felted fabric filter elements with internal zinc coated wire support frames. 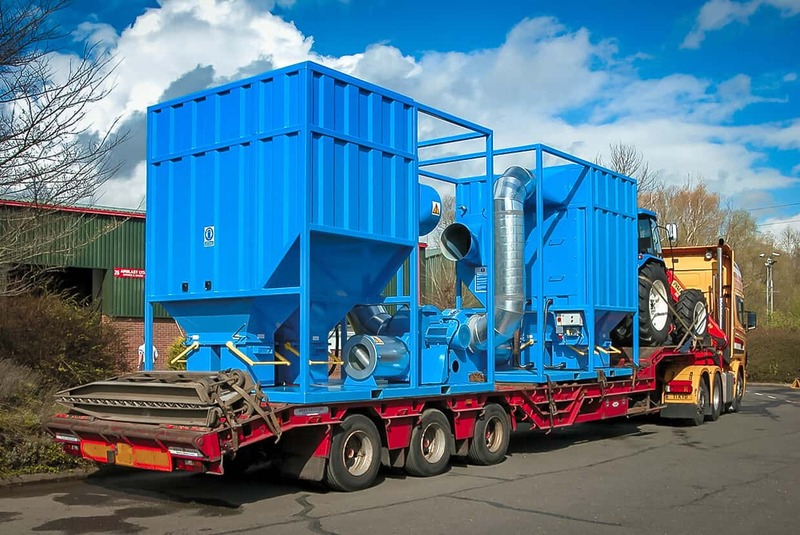 Airblast Eurospray offers large portable dust extractors based on its Air Pulse Cartridge Collector with adaptations to suit various sites.